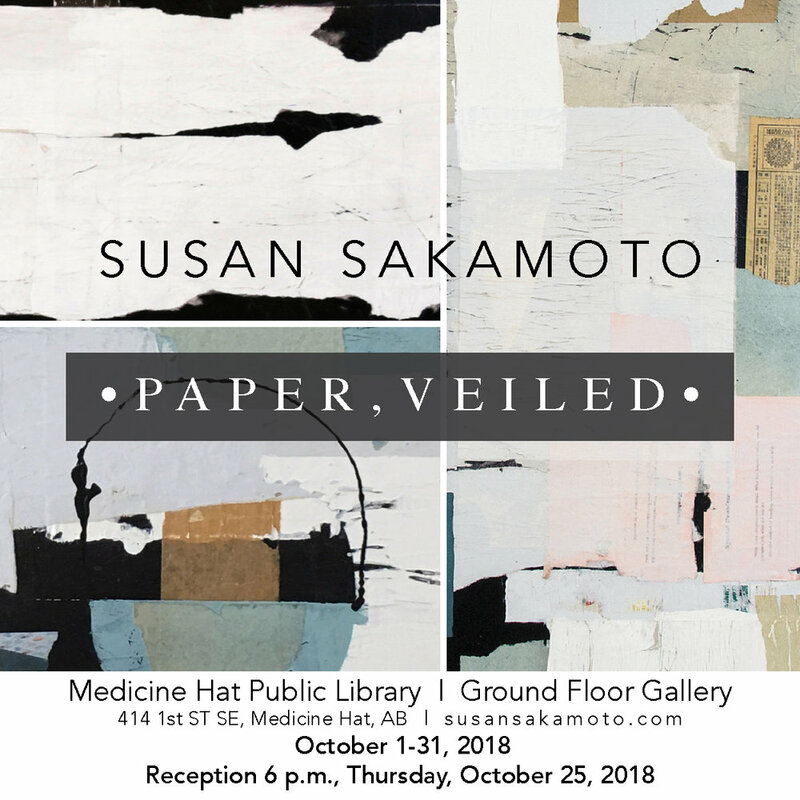 Susan Sakamoto is a Canadian artist fascinated by the layers of life, layers of paint, layers of personal and family history, and what can be discovered by learning of their vast inter-relationships. Experiencing surfaces, taking risks, experimenting, excavating layers, and allowing a painting to unfold as it will, are parts of her process. Happenstance can dictate the direction of a painting, as in life. Sakamoto’s work delves into the deeper mysteries of life. By congregating artifacts from generations of family life (letters, images, pay slips, invitations), by allowing family members active partnerships in creation, by layering and excavating the picture plane, Sakamoto touches the rich complexities of living in family. Carried in My Heart, which Sakamoto created with her son in mind, is an example of how the picture plane itself starts to hum with a present redolent of the past that has produced us.